The Sun commissioned Nick Chaffe to illustrate this hand drawn lettering for their 'TV Magazine'. 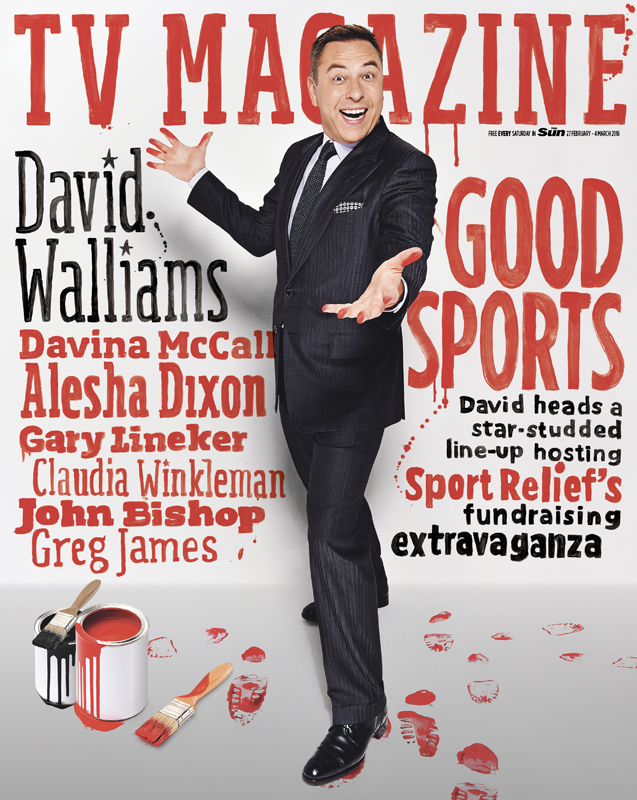 Nick's playful typography was combined with photography to create a fun cover for the Sports Relief special edition of the television guide. To see more of Nick's work, click here. Nick Chaffe is represented by Meiklejohn. Published on 14 March 2016.